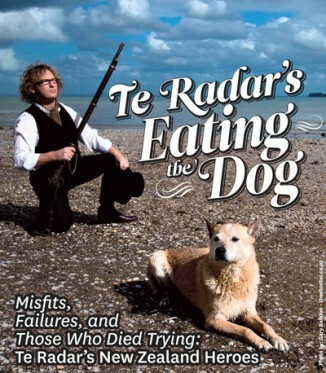 Te Radar’s “Eating The Dog” is an irreverent look at some of the more notable characters and events from New Zealand’s history. Te Radar celebrates the bumblers and the near-do-wells, who personify the archetypal “she’ll be right” spirit that epitomises this country. With the aid of a visual presentation rich with photographs, maps, and other images, the show is a hilarious romp through the pages of our history.